The global asset management company chose the Scottish capital for 120-delegate event. Pre-event planning: The Schroders Investment Conference is held annually in Scotland. "The aim is to enable Schroders' clients and prospects access to the top managers and the sales team in a format that enables them to easily interact with each other," explains Schroders events manager Viki Stapleton. 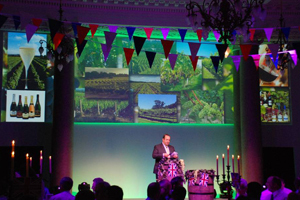 This year the company chose the Balmoral hotel in Edinburgh as the venue, because of its central location and facilities. Challenges: "We nearly had to rearrange the agenda on the day as some speakers were grounded due to aeroplane failure," says Stapleton. Solutions: "Fortunately the speakers arrived in time," says Stapleton. The event itself combined a conference followed by 12 break-out sessions, from which delegates chose four. They were issued with iPads, which were personalised with itineraries and event details. 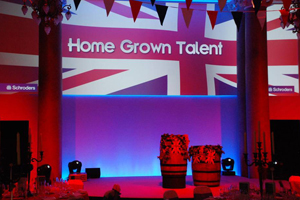 In the evening guests attended a drinks reception, and a 'Home Grown Talent-themed' dinner, with English wine, whisky-tasting and entertainment by Scottish comedian Kevin Bridges. Post-event analysis: "The event was deemed to be a huge success, according to the feedback from our guests and speakers,' says Stapleton.